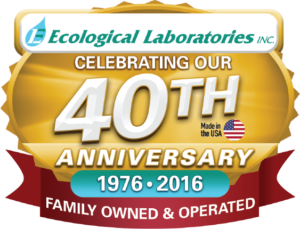 To the Consumer – At Ecological Laboratories, we are strongly aware of our responsibility to environmental stewardship and sustainable development. By providing safe, natural products we allow our customers to also be good stewards of the environment so that it will be suitable for your children and grandchildren. Unlike many other marketers of bacterial products, we produce our own bacteria, so we can be assured that everything we put our name on is 100% safe and effective. To Our Retailers – We value our relationship with our retailers and consistently look for ways Ecological Laboratories can provide better support and value for those who sell our products. As a family-owned and operated business, we respect the importance of the independent retailer who can provide the knowledge and expertise to help your customers purchase the correct product and optimize the performance of all of Ecological’s products.